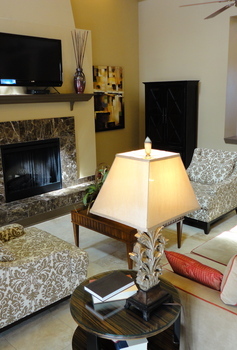 Come see Vista Ridge Apartments today to experience all this great community has to offer. Check out the convenient, peaceful and gated location. See the resort-style swimming pool, poolside cabana, elegant clubhouse with 24-hour fitness center and business center. Ask about the optional garages and covered parking too. Tour a 1, 2 or 3 bedroom apartment today and let Vista Ridge give you the quality lifestyle you've been seeking.